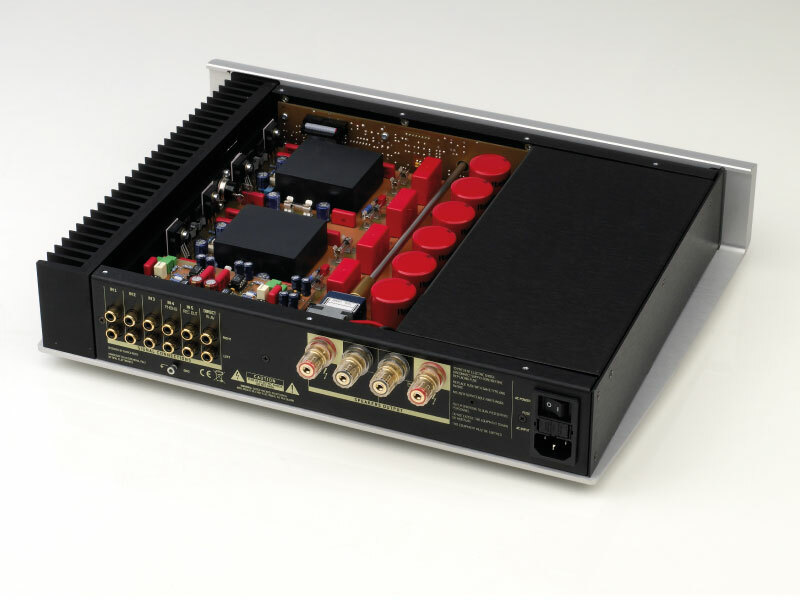 The Integrated Amplifier NORMA Revo IPA 70 comes as a result of a challenge. The challenge to offer a product with an advanced design, united with top-notch building quality and sonic result, whilst maintaining an accessible price. Thanks to the experience gained during years and to a brilliant engineering of product and manufacturing process, the challenge was successful. The Revo IPA 70 is the best creativity, passion, and love for music can make in Italy. Apart from the important and numerous technical aspects, the mission of the Revo IPA 70 was to offer a level of refinement and listening pleasure unknown to this segment of the market – until now. Transparency, timbre neutrality, velocity, great dynamics, ability of reproducing even the littlest nuances of the musical signal, both at high and low volumes, great driving versatility even with demanding loudspeakers. These characteristics express a lot more than its deliberately compact dimensions would lead to think. The design of the Revo IPA 70, result of an all-Italian experience in this field, has been thought as a synthesis of technology and shape pleasure. Like if they were shaped by the electrical flux that crosses them, the new volumes, thanks to an harmonic dialogue between tense lines and smooth junctions, appear essential but at the same time loaded with a strong dynamic charge. - Extreme low noise and high speed schematic topology. - Wide band ( >1 MHz ). - High current MOS-FET power device (100 A output peak current). - 8 power device for a total rated 1.000 W power handling capability. - Semiconductor selected and matching for Left & Right channel. - PCB Board with wide ground plane. - Separate ground plane power supply for Gain, Driver and Output stage. - High filtering capacity with numerous and low impedance capacitors. 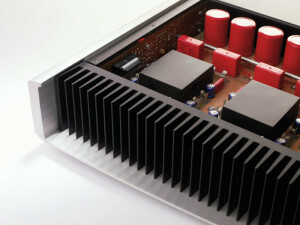 - Toroidal power transformer specially designed for audio applications, low dispersion flow. low mechanical noise, high permeability magnetic core with consequent low output impedance. - Remote control of all functions with NORMA RC-A remote control. - Possibility of housing the PHONO Stage Board inside.